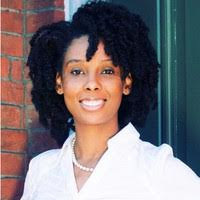 Monique Wingard is a seasoned Digital Media Professional who has held leadership positions with organizations including Ohio University, Jeffrey M Consulting, McDonald’s Corporation, 1871, Black Girls CODE, and Urban Ministries, Inc. She is an advocate of women and youth in STEAM, founder of The Civic Tech Collective and owner of SAVVY Consulting & Communications LLC. ...or put food on the table. So like many of my millennial peers, I had to spend some time working in unrelated career fields after college in order to survive financially. I have always aspired to work in public media--behind the scenes. Over time, my aspirations to work in traditional broadcast media spaces has led to opportunities in digital media and marketing. Many of the skills needed to be an asset in tv/radio are also needed to adequately manage the online presence of a brand or company. The ability to maintain balance in my personal and professional life requires me to do self-checks fairly often. Self-care is one thing, but slowing down to simply be still, prioritize my time, life in order to prevent burnout has proven to work better for me. My mother, grandmothers, mentor (Tosha Poteete, also known as Tosha Love in Atlanta), Simona Rollinson, Cameka Smith, my NABJ family, and many other friends/women who do not even know that their demonstration of confidence, strength, and purpose inspires me every day. I am a true introvert, so time alone is an absolute “must” to recharge my battery. But I also have to work in some time back home with my family as well. Automation! Any tools that allow me to not always be so hands-on with social media are life-savers. My favorites right now are Later.com and Buffer.com. My definition of a BOSS is someone of great character. They walk the walk and talk the talk even when the cameras are off and the “likes” aren’t rolling in. A BOSS embodies leadership and empowers others to find their inner “BOSS” as well. 8. Provide us with two words that describe you?